You are here: Home / Holidays & Events / DECORATE YOUR FRONT PORCH FOR CHRISTMAS FOR LESS THAN $150! 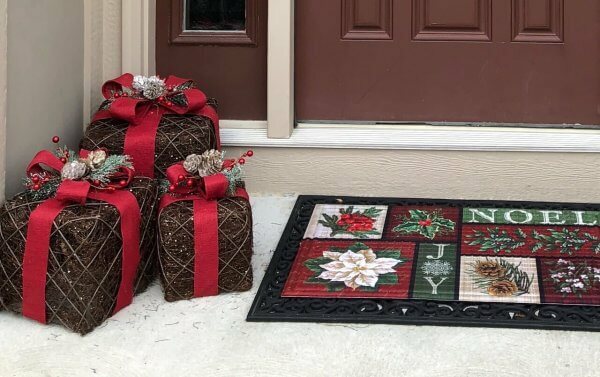 DECORATE YOUR FRONT PORCH FOR CHRISTMAS FOR LESS THAN $150! Since we moved into our house four years ago, I have worked each holiday season to make the spaces throughout festive and cozy, while remaining somewhat minimalist. Last year, I finally got to the point that every room felt like “home” – a Christmasy version of home. The one place I struggled with though, was the front porch. 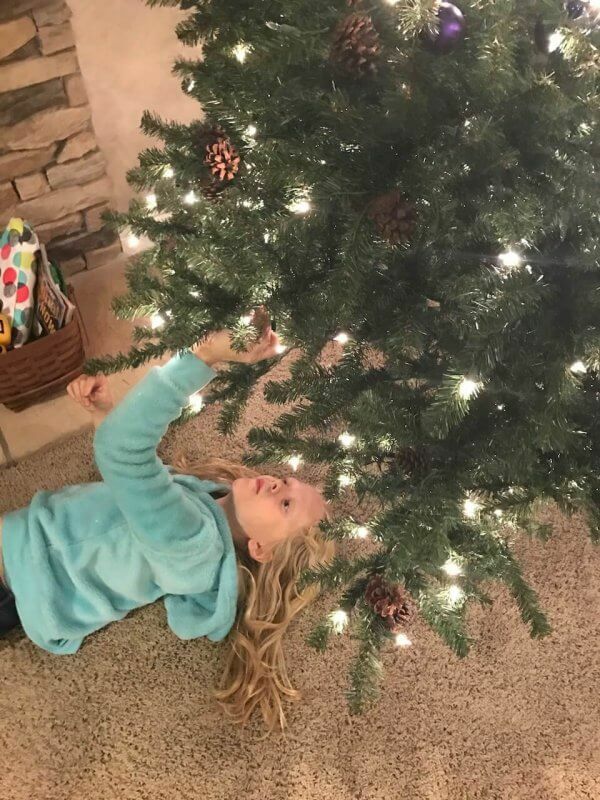 My husband takes care of the outdoor lighting, but any other decorations out there are usually my doing. I looked several places last year for inspiration – namely home and garden stores with vast selections of outdoor decor – but came up empty. There were plenty of great decorations from which to choose, but nothing seemed to come together in a theme I really loved. 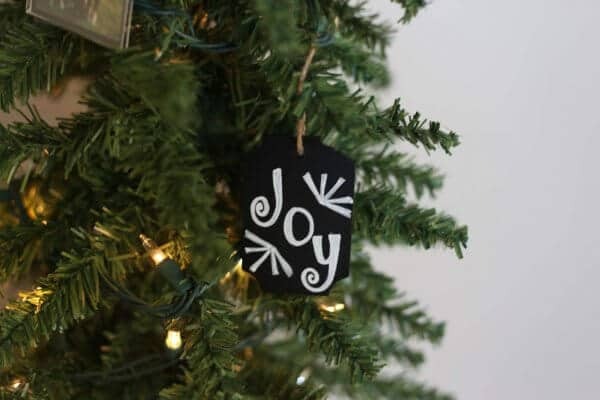 I spent some time the last few days perusing the seasonal section of the At Home website, and love that they have things listed not only by type of item (lighted decor, yard stakes and signs, porch trees, etc), but also by collection or theme, and even by size! With a smaller porch than we had for many years, the last option was super helpful. Armed with a list of my favorite items, I headed to my local At Home store. I picked up a few necessities for inside the house, but the focus of my trip was knocking out the holiday decorations for the front porch once and for all. Or, you know, at least for the year. Want to see what my kiddos and I came up with?! I found myself drawn time and again to the “Fairytale Forest” line. It has just right balance of outdoorsy decor and glitter, while still looking relatively classic. At Home had several wreaths from which to choose, even within the Fairytale Forest line. We landed on this one, to replace a wreath of a similar size. 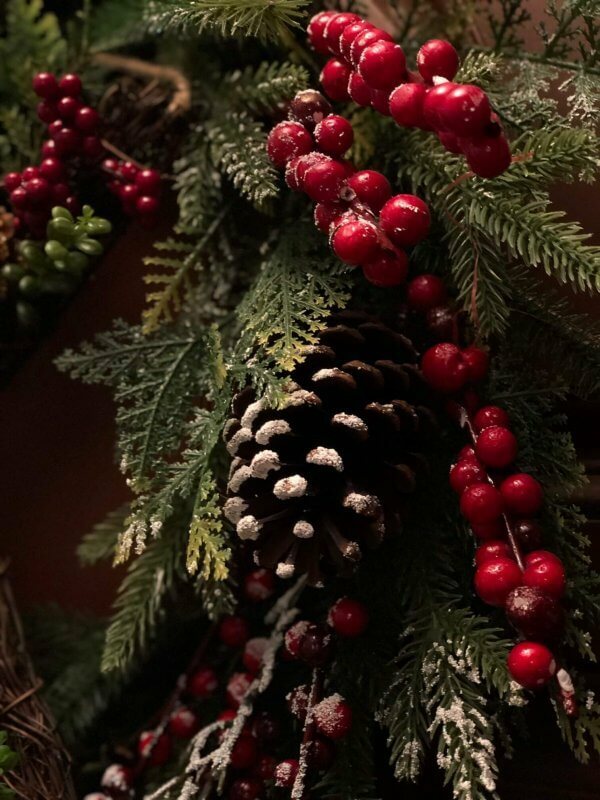 There is a huge selection of garland, too – some with lots of decor (poinsettias, ornaments, pine cones, and other items in a variety of colors), and others that are plain greenery or flocked needles. 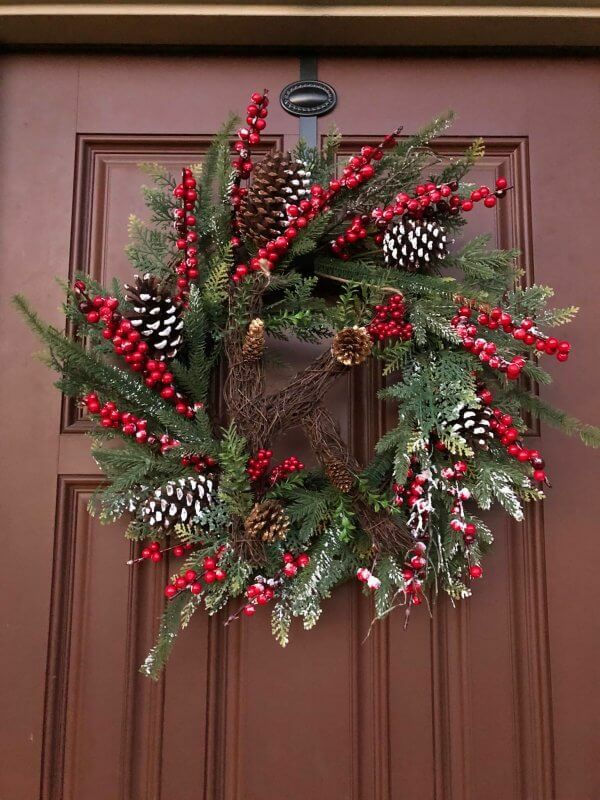 I chose a relatively simple one with berries and pine cones that tied in well to the wreath. Finally, I just had to have a set of these lighted gift decorations. The store offers nearly a dozen colors and styles, and the vine version complements the Fairytale Forest line really well. I truly loved the things I brought home, and the prices at At Home are hard to beat. My only struggle was with what was in stock; be sure to have backup ideas, or be willing to wait. I’m still holding out for a couple of beautiful porch trees that would finish my project, but the selection was pretty well depleted when I was there. The staff was optimistic that they’d get more, but you may have to try a few times if you’re looking for something very specific. Overall, I’m definitely looking forward to checking out what At Home has for upcoming seasons. I think it’s so unique that they offer mix and match, pre- made decorations that you can grab and go and know they work well together, as well as plenty of basics if you’re feeling a little more creative. How often do you change out your seasonal decor?